What is work experience travel? In 2017, young travellers who considered work experience as the primary purpose of travel accounted for 13% of New Horizons IV Survey respondents. Work experience travel accounts for a similar proportion of youth travel as does study travel (14%), but both are smaller than language travel (23%) and holiday/leisure travel (38%). Many work experience participants travel on organised schemes linked to specific visas, such as the US J-1 Visa Exchange Visitor Program or Australia’s Working Holidaymaker Scheme. Cultural exchange that increases knowledge and skills and provides opportunities to learn about everyday life in another country is the foundation of a work abroad experience for youth. The work experience traveller is typically aged 20 to 25 and educated to BA level. Europe and South America are significant source regions while North America, particularly the USA, is the most popular destination for work experience travel. Travel agents figure prominently for youth when it comes to this type of travel, as do direct bookings with suppliers. The average trip length is long and spend fairly high, making working holidaymakers and work experience programme participants ‘temporary locals’ with the potential to make important contributions to local communities and businesses. 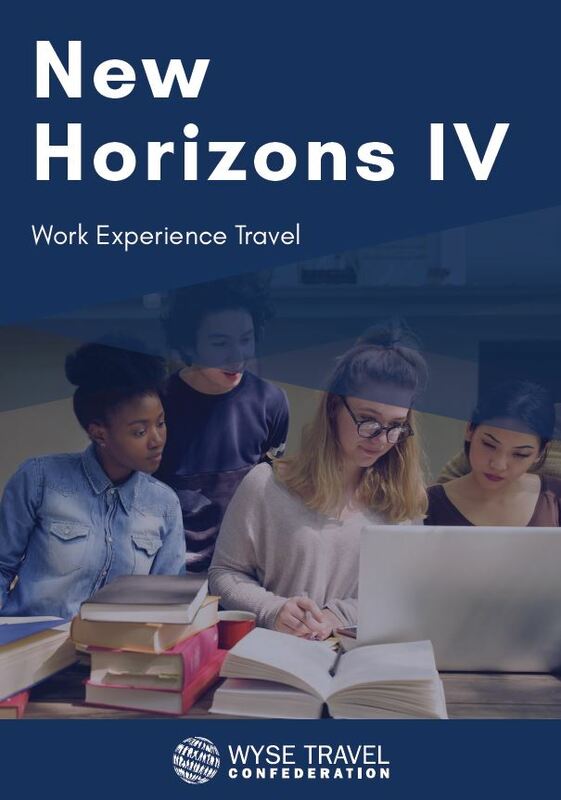 Read more about work experience travel for youth in the publication New Horizons IV: Work Experience Travel by WYSE Travel Confederation. WYSE Travel Confederation would like to extend special thanks to International Experience Canada, Alliance Abroad, DR-WALTER Insurance Brokers, and CultureMee for their support of this publication. Meet the global community of professionals specialised in work abroad programmes at the Work Experience Travel Market and IAPA Annual Conference (WETM-IAC), 16 -18 March 2019 in Luxembourg.